There are two major events coming up in April and May 2019, specifically designed to help older adults considering downsizing over the next 10 to 15 years. As the 55 and older generations anticipate retirement, there are many issues that should be considered: downsizing, retirement, staying active in the empty nest, learning more about the benefits of Medicare, choosing the right housing, even helping our older parents navigate their health and wellness issues. Given the breadth and complexity of these issues, no wonder some of us don’t even want to retire! Luckily, there are people and organizations in Central Ohio that are focused on helping downsizers work through these issues, and many of them will be at the 2019 Retirement Ready Expo and Downsize Columbus 2019, to be held in late April and early May this year. The Retirement Ready Expo 2019 and Downsize Columbus 2019 are two major Central Ohio events that can help better prepare us for retirement. Both offer workshops, vendors and information that help us make educated decisions on how to “do” downsizing and retirement our way! Both events feature some of the area’s foremost consultants and authorities on residential options, financial planning, Medicare and other health care benefits, healthy living, continuing education, travel and recreation for active older adults and seniors. Treplus Communities is an exhibitor and sponsor for both events. We have luxury apartments for 55 and older residents in both Delaware, Franklin and Fairfield Counties. Our Franklin County senior apartment community is Hawthorne Commons, located in Dublin close to all of the great parks, community services, restaurants and shopping that the city of Dublin has to offer. Redbud Commons is our luxury apartment community for 55+ adults in the great family-friendly community of Pickerington. Burr Oak Commons is the Treplus senior apartment community currently under construction in Delaware, Ohio. Burr Oak Commons is within walking distance of the Houk Road Kroger grocery, deli and pharmacy. These luxury apartments for seniors age 55 and older are well-placed on Delaware’s east side for convenience and accessibility to restaurants, parks and the other great lifestyle perks that Delaware offers. The Retirement Ready Expo 2019 focuses on vendors and workshops led by organizations in Delaware County. SourcePoint, the nonprofit organization providing active adult lifestyle and senior services for Delaware County, hosts this event. According to the mission statement, “SourcePoint is your primary source of professional expertise, services and programs for Delaware County adults who want to Thrive After 55.” To find out more about SourcePoint’s services, see their website. Singles and couples who are retiring, experiencing the empty nest for the first time and considering downsizing can take part in these events to learn about the choices there are for older adults in Central Ohio today. There will be workshops and vendors sharing the latest information on housing, lifelong learning and education, retirement and personal financial planning, recreation and health/healthcare. The Retirement Ready Expo takes place on Saturday, April 27th from 9:00 am to 12:00 pm at the SourcePoint main office at 800 Cheshire Road in Delaware. Treplus Communities is a major sponsor of this event, which includes exhibitors from The Ohio State University, Ohio Wesleyan University, Road Scholar, the Better Business Bureau of Central Ohio, Preservation Parks of Delaware County, and other organizations that can be helpful for downsizing empty nesters, including the Delaware County Board of Realtors. Firms specializing in elder law, retirement financial planning, and home improvement will also be represented at The Retirement Ready Expo 2019. Major Organizers and Howard Auctions, LLC will also have exhibition booths at the event. In addition to these interesting and relevant exhibitors, Retirement Ready Expo 2019 will have several workshops from which to choose. Clare Edwards from SourcePoint will host and facilitate “Maintaining a Healthy Brain” and Kimberly Wells, CFP of Young Wealth Management will present two sessions on “Financial Planning for Today’s Retirees.” Karen Spiller of Smooth Transitions hosts the workshop “Downsizing: How to Start Now!” Dianne May of The OSU Extension Office hosts “Cooking for One or Two.” For a full list of workshops and exhibitors, see the Retirement Ready Expo 2019 website. Downsize Columbus has been holding downsizing seminars since 2013, and their annual spring event at the Hilton Columbus at Easton is always a vibrant and exciting way for people considering retirement over the next 15 years or so to make their downsizing successful. The 2019 DSC event has the latest in financial planning, lifestyle transitioning, housing alternatives, health care and overall well-being for active adults age 55 and older in the Columbus area. 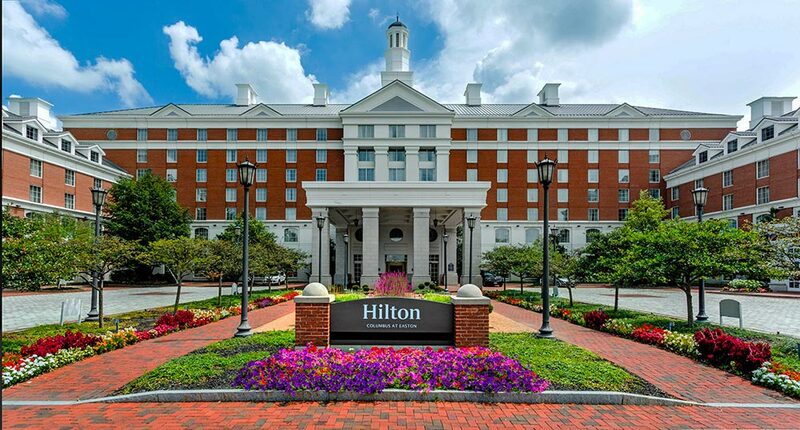 The sixth annual 2019 Downsize Columbus Seminar is being held on May 5th, 2019 at the Hilton Columbus at Easton. See find out more about this event, see the Downsize Columbus website. If you haven’t been to a Downsize Columbus seminar, be prepared to emerge with a wealth of new knowledge about retirement, downsizing, real estate, wellness, healthcare and finance. Some of the most esteemed organizations are represented at DSC events, sharing their experience and strategies with attendants. Kathy Chiero, founder of DSC and owner of The Kathy Chiero Real Estate Group, is always in attendance. 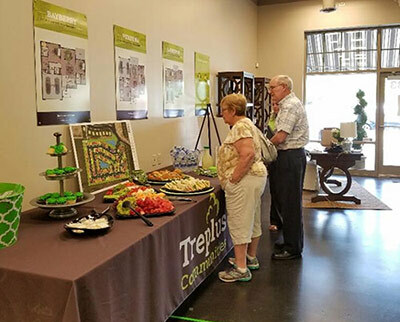 Jane Arthur and Ann Cook of Treplus Communities are among the featured speakers and exhibitors at DSC events over the past five years, and Treplus Communities will be at the exhibition and vendor area for DSC 2019. Nancy Dreyer and Nancy Edwards of Staging Columbus, Suzanne McClain of National United Medicare Advisors and Timothy Jarvis of Jarvis Law Offices are some of the few past speakers at DSC events. These individuals are highly accessible during the event itself, giving attendees a personal pipeline to their expertise in health care, elder law and home and staging. The 2019 DSC event runs from 1:30 to 4:30 pm on May 5th, 2019 at the Hilton Easton, 3900 Chagrin Drive, Columbus, Ohio 43219. Admission is free. DSC holds bi-monthly seminars called Transition Tuesdays, with presentations on home downsizing, home sales, legal aspects of downsizing, and other relevant topics. Transition Tuesdays events are held at the Easton Oval Downsize Columbus office.